In Africa, dancing is a way of life. 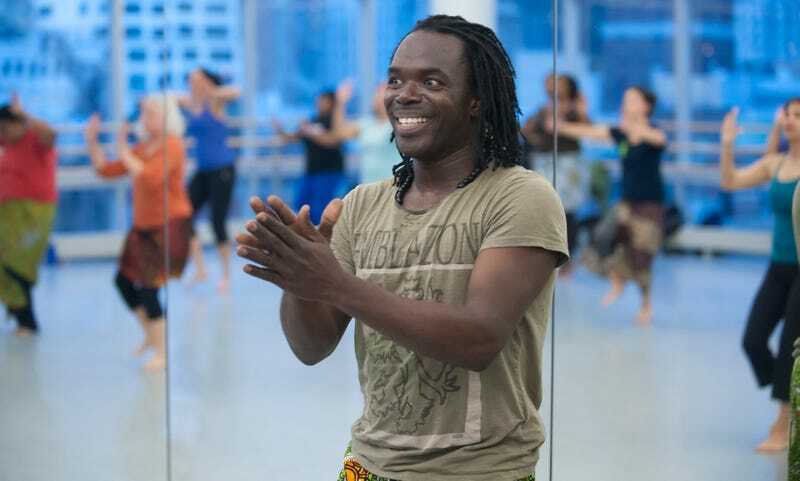 And for Senegal native Maguette Camara, dance has become a part of his essence. West Africa is a vast region of countries that create a robust culture—from music to fashion, food and beyond. West African dance, accompanied by a djembe drum, is a fixture within the culture and a revered tradition. Camara has been dancing for as long as he can remember, but he began teaching nearly two decades ago in Senegal. Today he is a West African-dance instructor at the Ailey Extension in New York City. "If you can bring yourself into the building, then you are welcome to take dance classes," Camara says. At the extension, where classes start at $20, he trains students from 16 years old and up. Camara believes that neither age nor ability should be a barrier: "If you can walk, you can dance," he says. Felice León is multimedia editor at The Root.